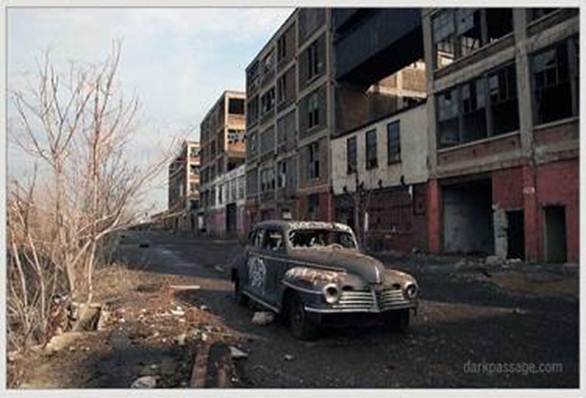 For 15 years, from the mid 1970's to 1990, I worked in Detroit, Michigan. I watched it descend into the abyss of crime, debauchery, gunplay, drugs, school truancy, car-jacking, gangs and human depravity. I watched entire city blocks burned out. I watched graffiti explode on buildings, cars, trucks, buses and school yards. Trash everywhere! A new child meant a new car payment, new TV, and whatever mom wanted. 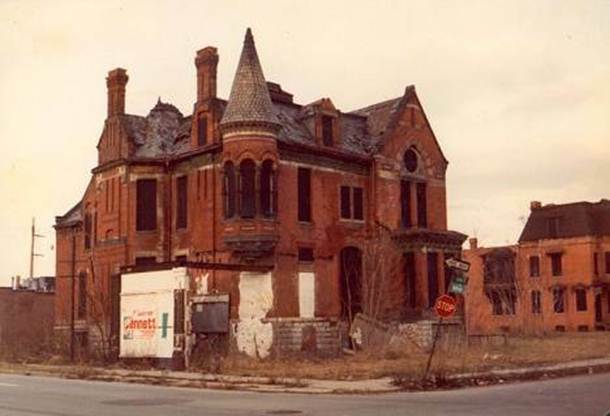 I saw Lyndon Baines Johnson's 'Great Society' flourish in Detroit. If you give money for doing nothing, you will get more hands out taking money for doing nothing. Mayor Coleman Young, perhaps the most corrupt mayor in America, outside of Richard Daley in Chicago, rode Detroit down to its knees... He set the benchmark for cronyism, incompetence, and arrogance. As a black man, he said, "I am the MFIC." The IC meant "in charge". You can figure out the rest. Detroit became a majority black city with 67 percent African-Americans. Today, you hear Muslim calls to worship over the city like a new American Baghdad with hundreds of Islamic mosques in Michigan, paid for by Saudi Arabian oil money. 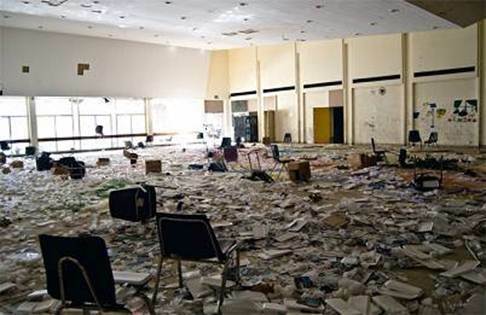 High school flunk-out rates reached 76 percent last June, according to NBC's Brian Williams. Classrooms resemble more foreign countries than America. English? Few speak it! The city features a 50 percent illiteracy rate and growing. Unemployment hit 28.9 percent in 2009 as the auto industry vacated the city. 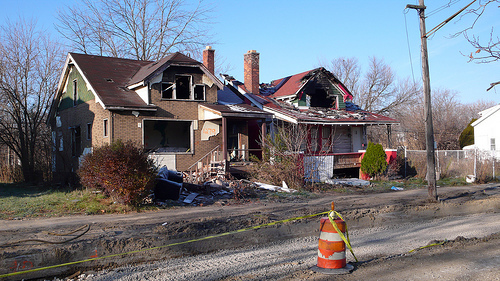 In Time Magazine on October 4, 2009, "The Tragedy of Detroit : How a great city fell, and how it can rise again," I choked on the writer's description of what happened. "If Detroit had been ravaged by a hurricane, and submerged by a ravenous flood, we'd know a lot more about it," said Daniel Okrent. "If drought and carelessness had spread brush fires across the city, we'd see it on the evening news every night." Earthquake, tornadoes, you name it, if natural disaster had devastated the city that was once the living proof of American prosperity, the rest of the country might take notice. Even the death rattle that in the past year emanated from its signature industry brought more attention to the auto executives than to the people of the city, who had for so long been victimized by their dreadful decision making." As Coleman Young's corruption brought the city to its knees, no amount of federal dollars could save the incredible payoffs, kickbacks and illegality permeating his administration. 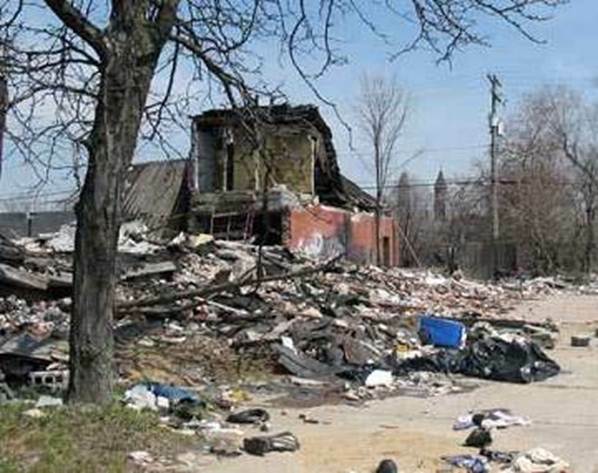 I witnessed the city's death from the seat of my 18-wheeler tractor trailer because I moved people out of every sector of decaying Detroit. "By any quantifiable standard, the city is on life support. 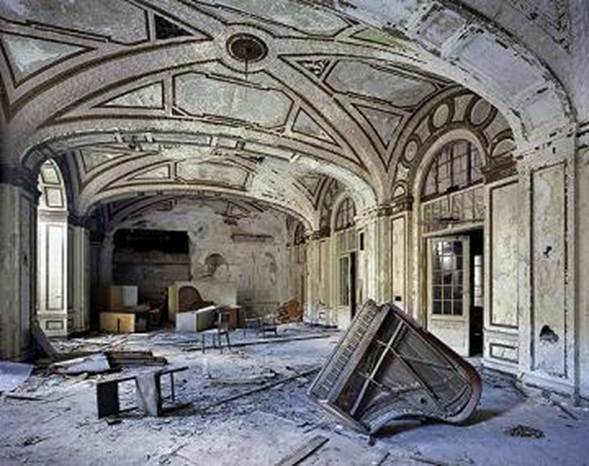 Detroit 's treasury is $300 million short of the funds needed to provide the barest municipal services," Okrent said. "The school system, which six years ago was compelled by the teachers' union to reject a philanthropist's offer of $200 million to build 15 small, independent charter high schools, is in receivership. The murder rate is soaring, and 7 out of 10 remain unsolved. Three years after Katrina devastated New Orleans, unemployment in that city hit a peak of 11%. 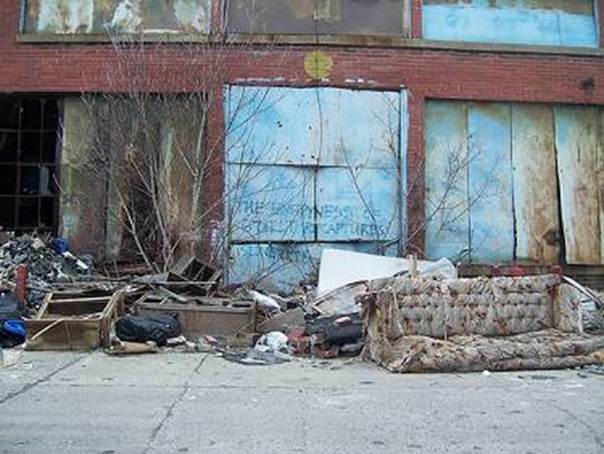 In Detroit today, the unemployment rate is 28.9%. That's worth spelling out: twenty-eight point nine percent. 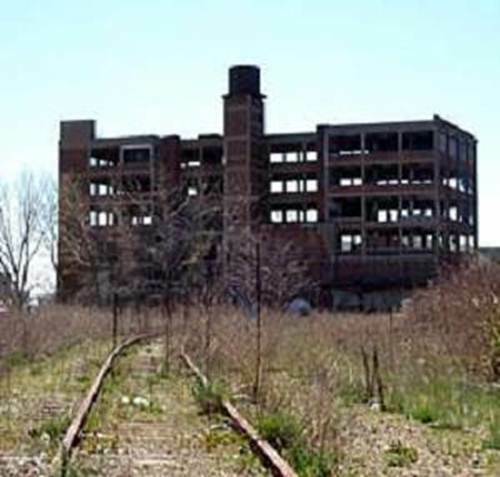 At the end of Okrent's report, and he will write a dozen more about Detroit, he said, "That's because the story of Detroit is not simply one of a great city's collapse, it's also about the erosion of the industries that helped build the country we know today. 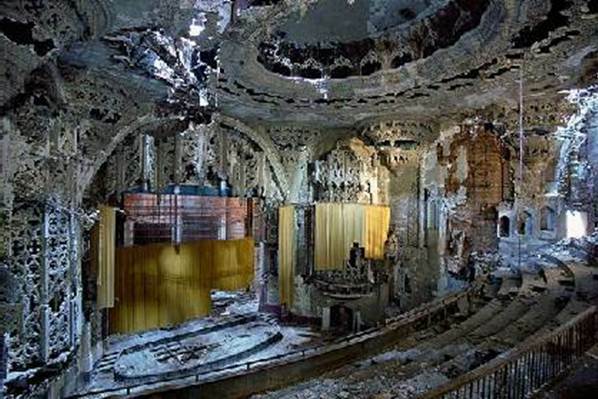 The ultimate fate of Detroit will reveal much about the character of America in the 21st century. 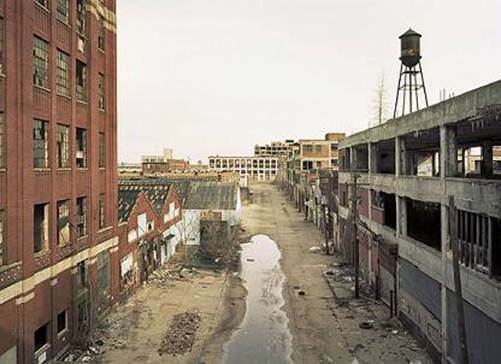 If what was once the most prosperous manufacturing city in the nation has been brought to its knees, what does that say about our recent past? And if it can't find a way to get up, what does that say about America's future?" As you read in my book review of Chris Steiner's book,"$20 Per Gallon", the auto industry won't come back. 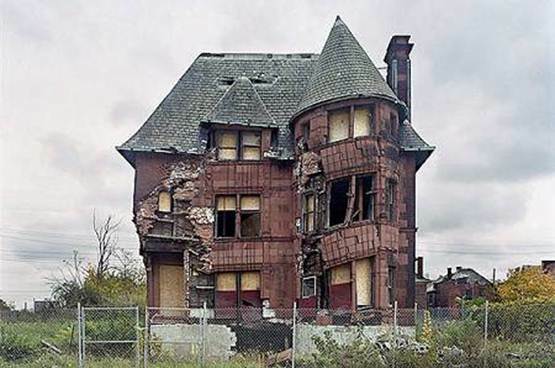 Immigration will keep pouring more and more uneducated third world immigrants from the Middle East into Detroit, thus creating a beachhead for Islamic hegemony in America. If 50 percent illiteracy continues, we will see more home-grown terrorists spawned out of the Muslim ghettos of Detroit. Illiteracy plus Islam equals walking human bombs. You have already seen it in Madrid, Spain, London, England, and Paris, France with train bombings, subway bombings and riots. As their numbers grow, so will their power to enact their barbaric Sharia Law that negates republican forms of government, first amendment rights, and subjugates women to the lowest rungs on the human ladder. We will see more honor killings by upset husbands, fathers and brothers that demand subjugation by their daughters, sisters and wives. Muslims prefer beheadings of women to scare the hell out of any other members of their sect from straying. Multiculturalism: what a perfect method to kill our language, culture, country and way of life. Frosty Wooldridge has bicycled around the globe 100,000 miles, on six continents and six times across the United States in the past 30 years. His published books include: "Handbook For Touring Bicyclists"; "Strike Three! Take Your Base"; "Immigration's Unarmed Invasion: Deadly Consequences"; "Motorcycle Adventure To Alaska: Into The Wind—A Teen Novel"; "Bicycling Around The World: Tire Tracks For Your Imagination"; "An Extreme Encounter: Antarctica." His Next Book: "Tilting The Statue Of Liberty Into A Swamp." He lives in Denver, Colorado. This article was originally published in 2009. 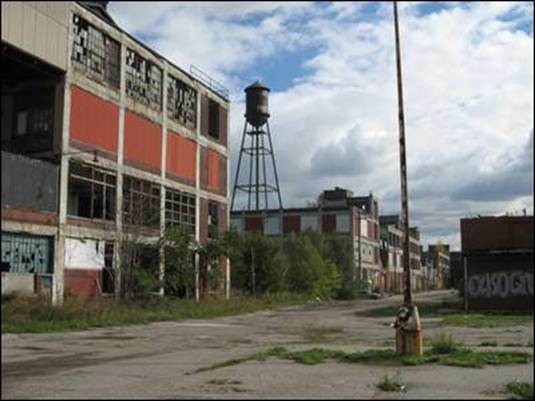 This version dated July 2013 was published as the city of Detroit filed for bankruptcy.